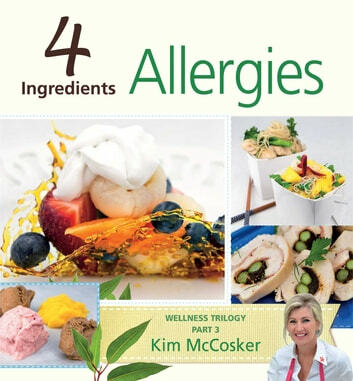 4 Ingredients Allergies is the third part in best-selling author, Kim McCosker’s Wellness Trilogy. Always striving to save time and money in the kitchen, McCosker has answered the calls of Allergen sufferers, their families and friends everywhere. This fully illustrated book features recipes from breakfasts, lunches, dinners and desserts and includes a popularly requested “Parties & Entertaining” chapter. It will offer inspiration free of the world's top 9 allergens that account for 90% of all documented food allergens. 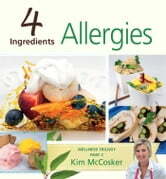 4 Ingredients Allergies will be the daily cookbook guide for busy parents who need to follow strict guidelines for the absolute health and care of their children, for schools that are Allergy aware, and family and friends who want to create beautiful, nutritious food, easily for loved ones living with Allergies. Ketogenic Diet Explained: Weight Loss Guide with Over 40 Quick and Easy Low-Carb Recipes to Make You Slim in No Time!